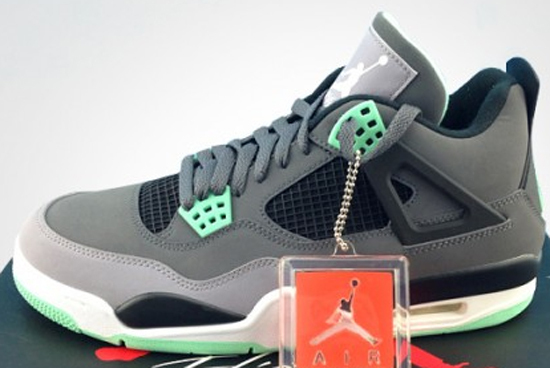 New pictures of this upcoming Air Jordan 4 Retro show some slight changes in the design. 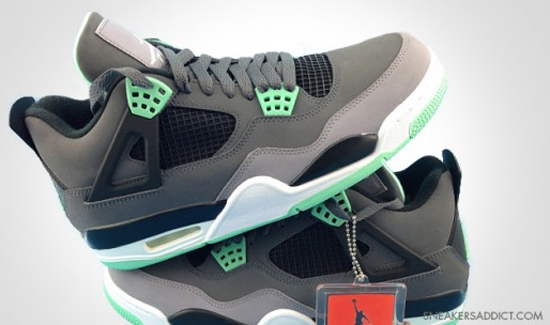 Today we take another look at this all new Air Jordan 4 Retro. While most of us have seen these a few times, this time there's something different. Unlike all previous versions, this one features some changes in the design. 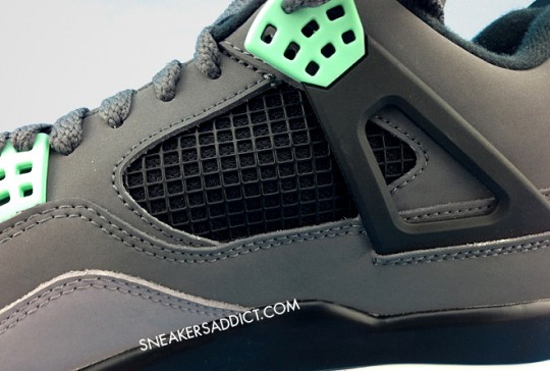 Originally, this dark grey, green glow, cement grey and black colorway featured an all grey suede upper with black and and green glow accents. This version not only features a nubuck upper, but two shades of grey. The black "Wings" on the sides are now black instead of grey and, the midsole now is all white and no longer grey with white. 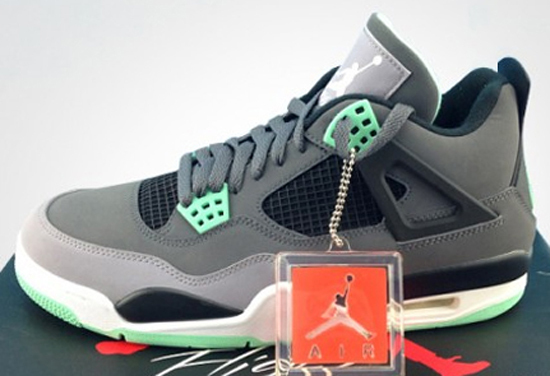 Also, the "Green Glow" is more of a mint green and takes on a much lighter shade on this pair. 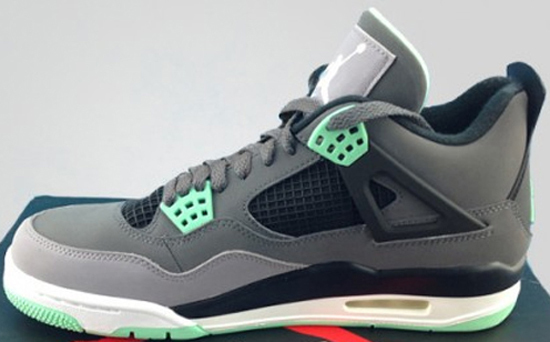 With a few months left until they officially drop on August, 17th, we could see an entirely different version of this Air Jordan 4 Retro release. Only time will tell whether the previous version or this new version releases. Once it is confirmed, I will be sure to make an update and let everyone know. For now, enjoy the new images of the "Green Glow" Air Jordan 4 Retro in dark grey, green glow, cement grey and black below. If you're planning to pick these up when they release, be sure to check in with your local spots to see if they will be receiving them. Those of you looking to lock down a pair now can, click here to buy them on eBay.